The trailer hadn't done much for me. Which means that, under normal circumstances, I would never pick Transcendence over the boatload of summer awesome that is 22 Jump Street, Dawn of the Planet of the Apes, Bad Neighbours and Boyhood. 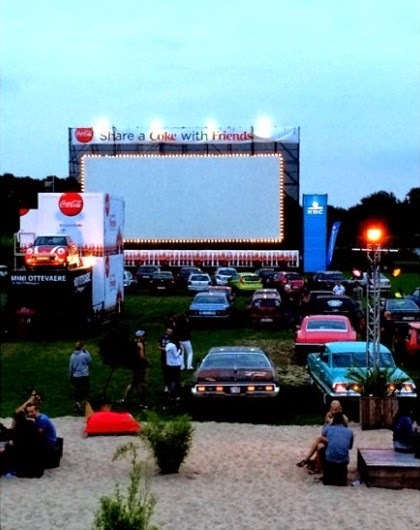 However, with a chance to release my inner Danny Zuko for a first time ever at the drive-in movies, I set aside my reservations. Johnny Depp and Morgan Freeman are in it, I thought, it could very well be a really good movie. 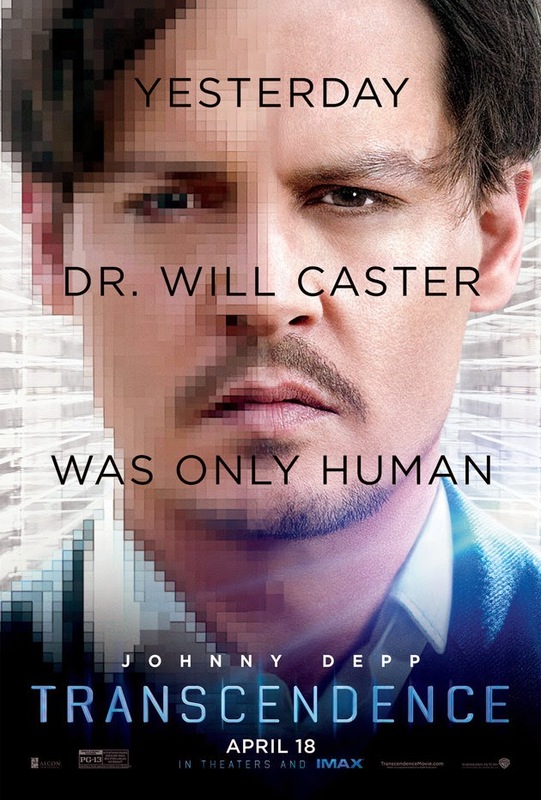 Dr. Will Caster (Depp) is a world-renowned researcher in the field of Artificial Intelligence. His goal is to create a sentient computer, which combines the collective intelligence of everything ever known and ultimately creates "transcendence" (aka technological singularity). This rubs the extremist group Revolutionary Indepence From Technology/R.I.F.T. the wrong way, and so they have one of their members shoot Will with an irradiated bullet. He is given no more than a month to live, which actuates Will's wife Evelyn (Rebecca Hall) to upload his conscience into a quantum computer. Woof. What a royal Pfist job. The premise of Transcendence is certainly interesting, but it's not like the relationship between humans and computers had never been explored, and the execution is so lazy and rhythmless that I quickly lost interest. I don't want to put all the blame on debut director Wally Pfister, though. When you are given a loopy script to begin with, even Johnny Depp can't save you, i.e. The Lone Ranger. It makes no sense to me, however, that Pfister stretched this mutant of a movie to an incomprehensible 120 minutes. By the way, if you like movies with digital protagonists, you should check out S1mOne (2002) by Andrew Niccol. At least you'll be entertained.